Yet another flashback photo, again of a dragonfly. I think this is my favorite dragonfly photo! He is nearly camouflaged, but so sharp and clear. 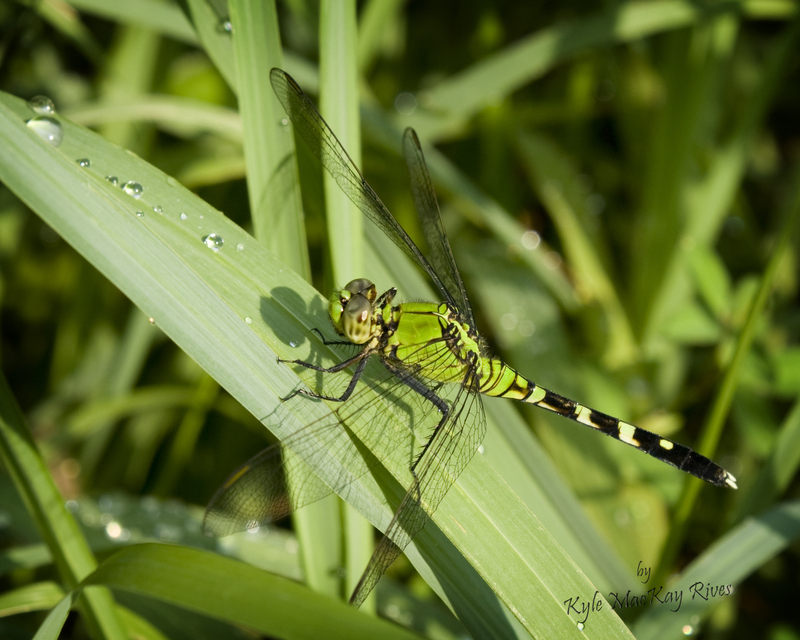 You can tell it was early morning, before the dew burned off, which may be why he was not as busily flitting around on dragonfly business as they usually are. This entry was posted in afternoon flashback, photography and tagged beauty, dragonfly, insect, nature, outdoors, photo, Photograph, Photography, summer 2011.